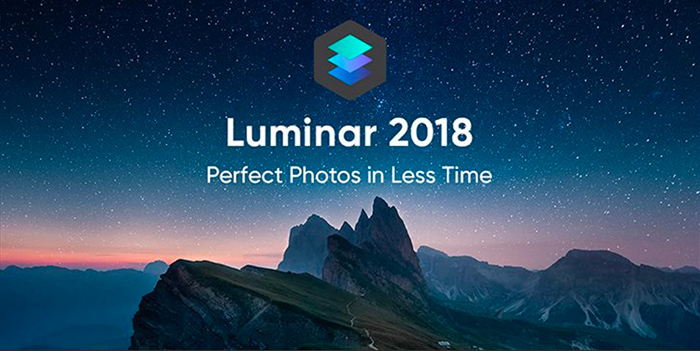 Skylum have the Luminar Version 1.3 update available for Mac and Windows. It’s a free update for registered users of the image editing software. IMPROVED Image History. It is now possible to use the “Save History” option when saving a file with the “Windows Compatible” option. Additionally, White Balance presets are now displayed in an image’s history with the preset name when using the RAW Develop and Develop filters. NEW White Balance Tool. A new White Balance functionality and eyedropper tool have been added to the Raw Develop, Develop, and Colour Temperature filters. NEW Image History. It is now possible to use the “Save History” option when saving a file. Additionally, White Balance presets are now displayed in an image’s history with the preset name when using the RAW Develop, Develop and Colour Temperature filters. NEW Layer Renaming. For all new layers, you add to a document (except for the original image) you can choose to assign a custom name. Just double-click on a layer’s name to edit it. This is a great way to organize adjustment and image overlay layers in your project. IMPROVED Language Support. Luminar offers seven improved localisations: Chinese, Chinese Simplified, French, German, Japanese, Portuguese (Brazil), and Spanish. NEW Canvas Colour. You can now set the Canvas background colour to White. Choose View > Background > White to set the working Canvas to White or choose from other shades of gray or black. NEW DNG Camera Profiles (DCP). Are you looking for truly professional control over your raw files? Then give DNG Camera Profiles a try. Luminar recognises the industry standard DCP files that you may already have on your computer (or have bought from third parties). IMPROVED Batch Processing. Windows users gain the useful Batch Processing improvements. These include the ability to “Replace or Skip Files” when saving the file with the same name when Batch Processing. Additional options include the ability to create JPEG and TIFF files as well as improved reliability when renaming and numbering files on export. Luminar should prompt you to update the software or you can also check manually.